I mentioned in my last article The Importance of Living Soil that I've been reading more and more about soil and soil organisms. I've known about Mycorrhizae for a long time but we've just now added it to Mary's Heirloom Seeds to help YOU grow a bigger, more productive garden. 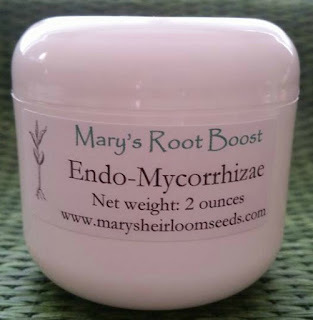 Mary's Root Boost Mycorrhizae is Endo Mycorrhizae which is the type that is beneficial to over 80% of plant species including most leafy green plants and vegetables. · Enhanced plant efficiency in absorbing water and nutrients from the soil. · Reducing fertility and irrigation requirements. · Enhancing plant health and vigor, and minimizing stress. · Enhanced rooting of cuttings. · Enhanced plant transplant establishment. · Improved phytoremediation of petroleum and heavy metal contaminated sites. · Produce more stress resistant plants during production and for landscape. · Potentially less pesticide usage. · Plants are more drought and nutrient tolerant in the landscape. 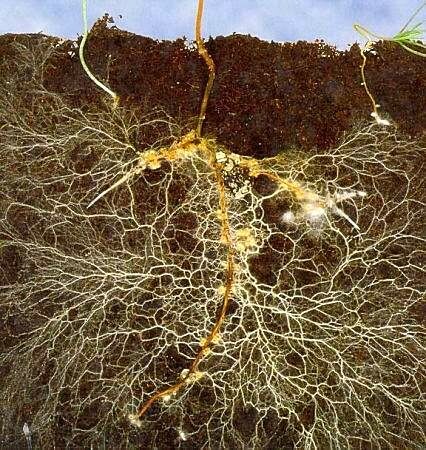 · Potentially higher transplanting success and faster establishment. · Value added: Marketing landscape plants with greater stress tolerance. If your garden soil and veggie garden could benefit from the above, Check out Mary's Root Boost now available at Mary's Heirloom Seeds.